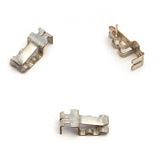 This phosphor bronze contact is used within a Fuse application. Our unique tooling method gave us the competitive edge to win the job. 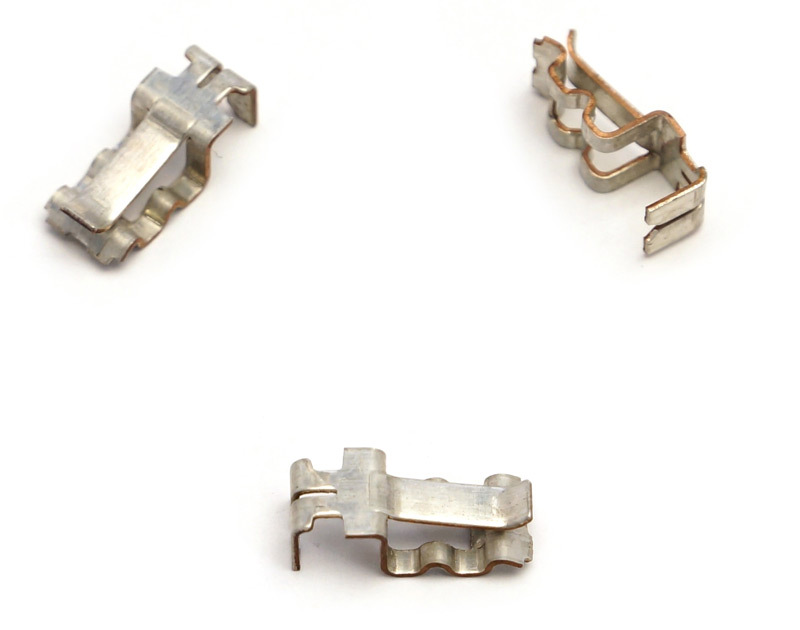 We began by custom designing and building tooling to fit the client's needs. We then utilized a #28 US multi-slide machine to progressive stamp and form .604" long, .195" wide, 155" high and .016" thick contacts. After both in-process and final inspection, we shipped 2,000,000 parts of the .000733 lb phosphor bronze contacts to the customer's Harwood Heights, Illinois location annually. To find out more about this project, see the details below. For more information about our other services, please contact Superfine.